Despite audible objections from local preservationists and community members, the district is moving ahead with summer plans to install solar panels in Palo Alto High School’s parking lot. 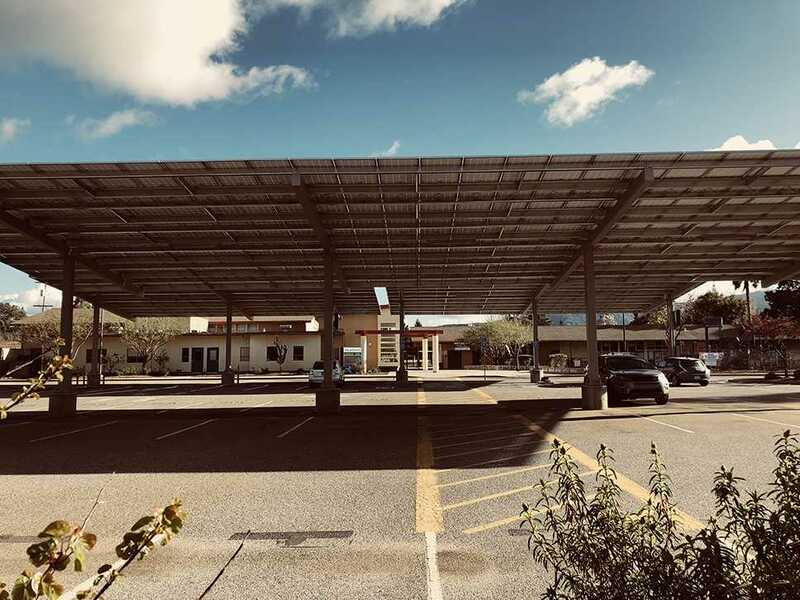 The solar panels will be installed on the roofs of carports, overhead canopies that cover parking areas, in the school’s El Camino Real and Churchill parking lots. “The central argument that we’ve heard in opposition to this plan most vocally has been about the historic value of the Paly campus,” project leader Rebecca Navarro said. Canopy, Palo Alto Stanford Heritage, the Palo Alto Historical Association and the Alumni Association Board all oppose the plan. Other concerns include the relocation of trees as well as the solar panels themselves serving as an eyesore. According to Navarro, Paly’s parking lot is the ideal location for the solar panels to be placed, considering Paly’s electrical demands and the increased expense that would come with spreading the panels throughout the school’s campus. “I’ve actually received quite a lot of feedback from the general public in support of the plan and people that are really excited about carport solar, and just the solar plan for Palo Alto Unified in general, and feeling proud that Paly is included in that,” Navarro said.